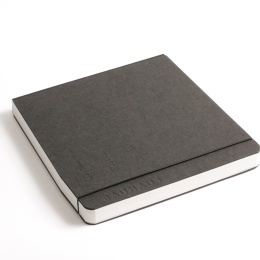 Robust and fun: Our compact little notebooks from the SCRIBBLE series feature hardcovers made from black cardboard with a black linen spine, rounded corners and a colourful elastic closure strap. 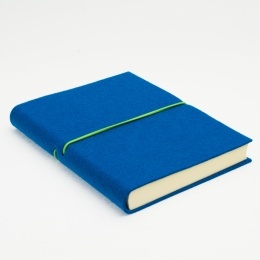 The SCRIBBLE sketchbooks are handmade and available in two different sizes (square formats). They come with a convenient pen holder at the spine of the book. 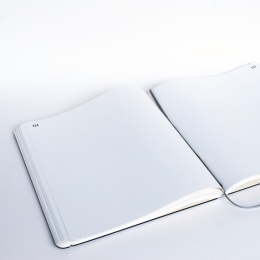 Each book block is made of 48 leaves of white 120g sketching paper with perforation. 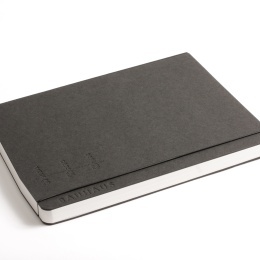 Oversized notebooks elaborately finished featuring three different rulings in elegant grey.